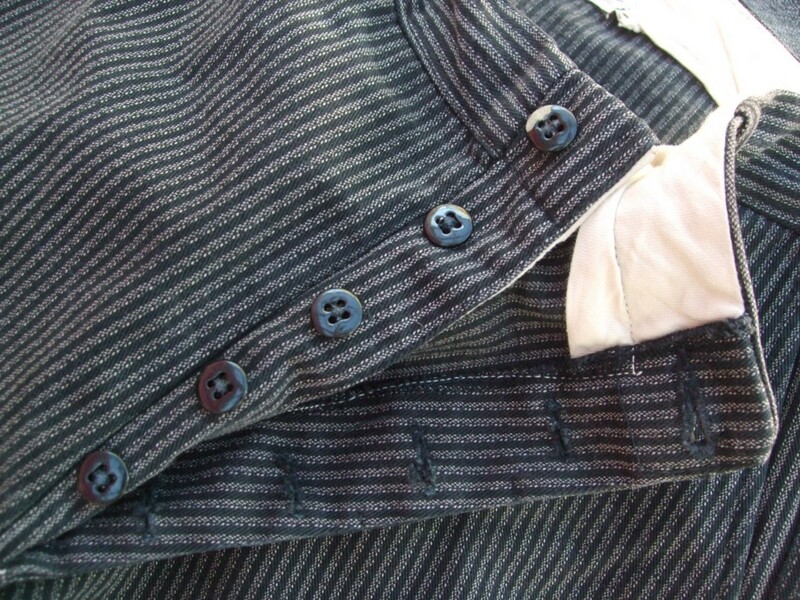 Beautiful 1920s-1930 era work garments made of CONE MILLS "HURON" fabric. The twisted yarns that comprise the grey portion of the striped cloth result in a killer herringbone or salt & pepper appearance. Coat features mouton type shawl collar, double breasted front with both right and left side buttons and leather tabs allowing the coat to be closed from either side, slanted upper hand warmer pockets and lower flap covered pockets both with triangular leather side reinforcements, sheepskin lined body and knit cuffs set inside the sleeves. 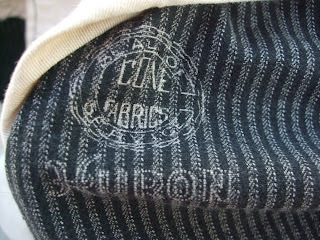 The dot pattern HURON, CONE FABRICS SEAL OF SERVICE Stifel boot type stamp is especially nice. This stamp notes the fabric used to make the garment and not the manufacture or brand, the same as with the iconic Stifel stamp. 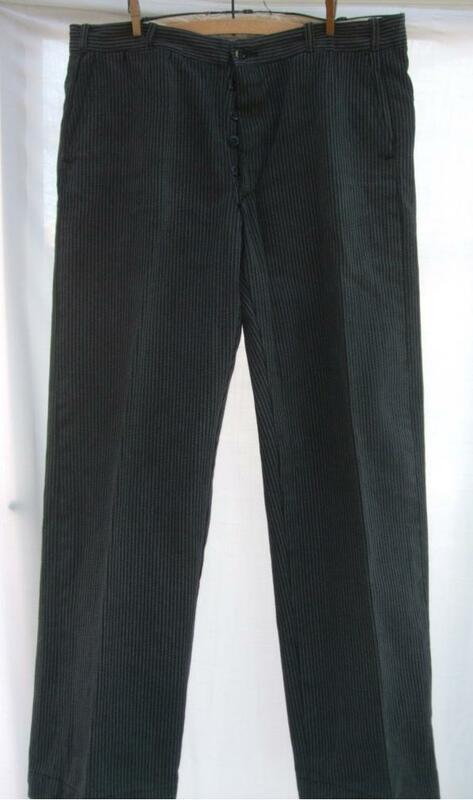 This great piece was recently brought to market by the knowledgeable seller union_label. We are not only are we partial to the name but have been fortunate to have purchased some very nice pieces from this top notch seller with a great eye. 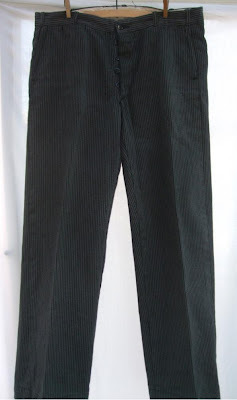 Another nice 1920s-1930s era piece currently up for grabs (albeit for top $) is this pair of button front work pants made of CONE HURON black and white striped twill fabric. The salt & pepper herringbone weave is a bit more pronounced as seen on backside of the garment in the above photo.